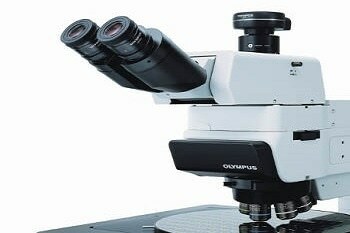 The DSX510 series of digital microscopes provide excellent resolution, on par with the very best of light microscopes. 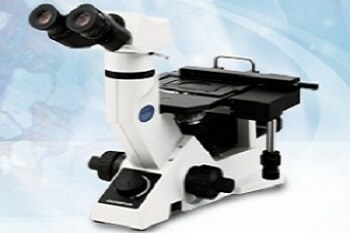 This resolution comes thanks to lenses having higher NA and low aberration when compared to existing digital microscopes, and there is also an improved evenness of light intensity. The optical zoom offered by the DSX510 is up to 13X and digital zoom is up to 30X. 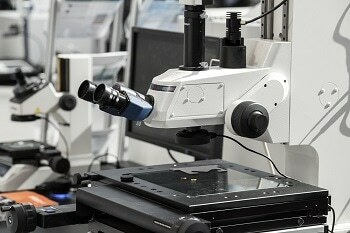 A single optical lens can encompass the normal magnification range of traditional light microscopes. 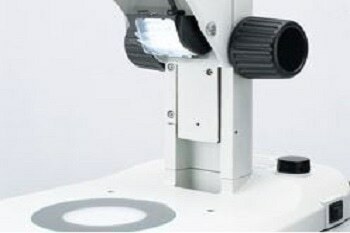 In order to obtain a greater magnification range, two lenses can be mounted simultaneously. The maximum range is 70-9000X. The DSX510 provides a range of observation modes, offering images with excellent resolution, as expected from high-end optics. With just the click of a button it is simple to obtain images on screen. With almost every industrial observation method only a click away, the DSX510 helps in selecting the right one for the task at hand. 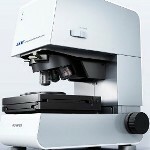 Download the PDF brochure for more information about the DSX510 series of digital microscopes. There is no need for any complex manipulations, users require only one to select between modes, (brightfield, darkfield, MIX [BF + DF], Differential Interference Contrast, polarized light) and create high-end images satisfying specific demands. Based on material quality, surface conditions or illumination techniques, sample appearance will differ. The advanced digital technology of DSX510, the High Dynamic Range (HDR) function, is capable of combining a number of images taken at several exposures to precisely correct the differences in brightness on the sample surface, thereby offering consistent and accurate sample rendition. WiDER, a proprietary image processing system, handles high-contrast problems with just a single click, with no glare or blackouts. The color enhancement feature of DSX510 helps position color where it is required, leaving the remaining image in black-and-white and enabling easy location of defects. Inspection is easy in cases where possible defects or contamination can be highlighted. All required parameters to obtain the needed image will be achieved by the DSX510. The best image function ensures the right images whether looking for uneven surfaces, defects or foreign objects. Anyone from a beginner to an expert can operate the system, and customization for each operator is possible. The completely digitalized mechanism of DSX510 enables that every image saved or taken has the conditions it was captured and recorded. With its Extended Focal Image (EFI) capability, the DSX510 can obtain an in-focus, clear image of a complete sample with a single click, irrespective of surface unevenness. With EFI, a number of images are captured while the focus point is moved up and down. From these images, the areas where the sample was in focus are integrated into a single image, where the entire sample is in focus, allowing accurate inspection of uneven surfaces. The capturing speed is also very fast. 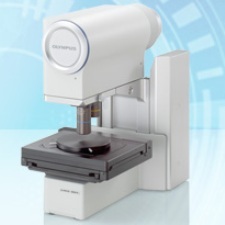 With a single click, the DSX510 is capable of capturing image samples in three dimensions, enabling examination from any angle and a view of the sample as it actually is. With comprehensive 3D images, unevenness or sample features can be viewed and determined. Volume and height differences can be determined, making sample analysis easy and accurate. With this camera, the problem of “outside the field of view” is overcome. 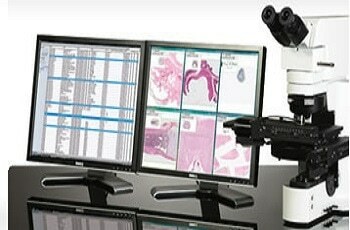 With live panorama, users can move the observation position on screen and the motorized stage automatically moves the sample to that position. With the stage moving, the system stitches images automatically to a large single field of view, in real time. The sample is simply positioned on the stage and the process begins with a single click. The stage travels in a spiral and the required area is automatically captured. With this feature, real-time image stitching of the desired area is possible in a very short time, by shifting the stage vertically, laterally, and obliquely. The length, the number of images, and the starting point are set and then the image stitching process is started. This enables pattern matching and rectifies shading, causing a high value-added and high-quality image. It is possible to combine EFI and 3D Image Capturing High quality panorama capability with EFI and 3D image capturing also. 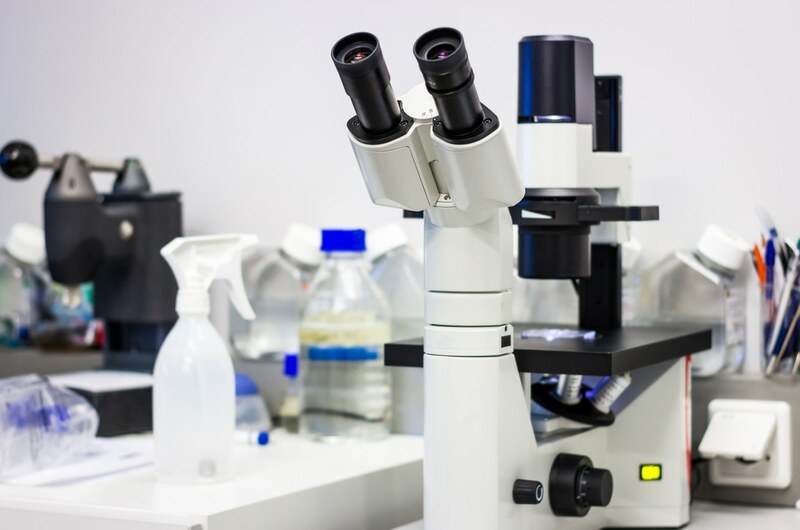 The ability of capturing images across a wide area show uneven surfaces in full focus, and produce 3D images implying that the data exceeds that of ordinary digital microscopes. The DSX510 can capture images of a number of registered points with autofocus automatically. Even if the focus is changed, the image size is not altered. As there is no change in the image size, it is possible to take accurate measurement without any problems of dispersion. 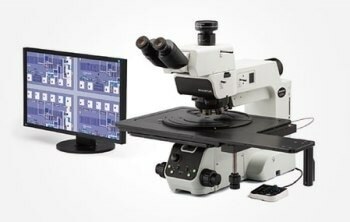 All basic industrial microscope measurement capabilities are included in the DSX510 software, making it easy to obtain optimal measurement results. 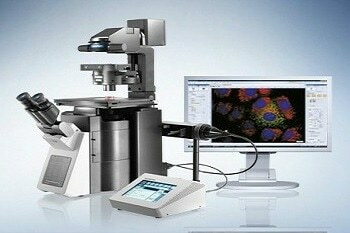 Optional software is offered for 3D measurement, caliper measurement, and particle analysis. With the simple wizard function of DSX510, it is possible to easily automate measurement processes. After image creation, the measurement wizard can automatically run or the wizard can be linked to an automatic image capturing wizard, further automating the imaging and measurement process. 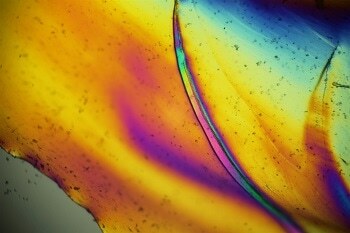 Using the optional OLYMPUS Stream image analysis software, granularity analysis, cast iron analysis, non-ferrous metal inclusions analysis, chart comparisons and advanced particle analysis and almost every metallography evaluation can be done. Report generation is also very simple as operators need to only concentrate on image capture, observation, and measurement, and the DSX510 automatically generates the relevant reports. It is possible to fully customize the reports. By specifying a scaling factor, OLYMPUS Stream reports can then be printed.